Straczynski and Davis chronicle the solitary beginnings of Superman. A doomed planet. An explosion. A rocket ship. An alien immigrant lands on Earth. The child has powers that manifest with age. The boy becomes a man and goes to the big city. He uses his powers for good and becomes the city’s protector. And then the world’s. All the beats are familiar and have been told time and again. But not here and not this way. This is what makes J. Michael Straczynski’s “Superman: Earth One” a success. While it is not perfect, this book is absolutely worth a read. 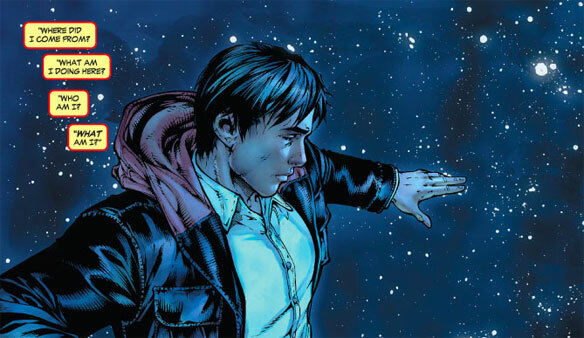 Straczynski has taken the Superman story and told it in a wholly different manner, while introducing some familiar concepts, the writer has brought just about the freshest take on the Man of Steel’s story in memory. The book is not bogged down in continuity and Straczynski takes full advantage of this by presenting twists to his Superman tale. “Superman: Earth One” opens with a younger Clark than readers are accustomed (early 20’s perhaps) traveling to Metropolis for the first time. He’s still undecided about his future and whether his destiny is to wear the iconic costume Ma Kent has sewn for him. Clark ponders the opportunities presented to him; he is both smart and strong and there are men who are eager to take advantage of this. Naturally, Clark eventually finds himself at the doorstep of the Daily Planet, meets with Perry White, takes an application, then throws it in the trash. What? Yes. This is only one of many scenes that are unexpected but satisfying. I did not miss those more familiar paths that aren’t necessarily necessary. 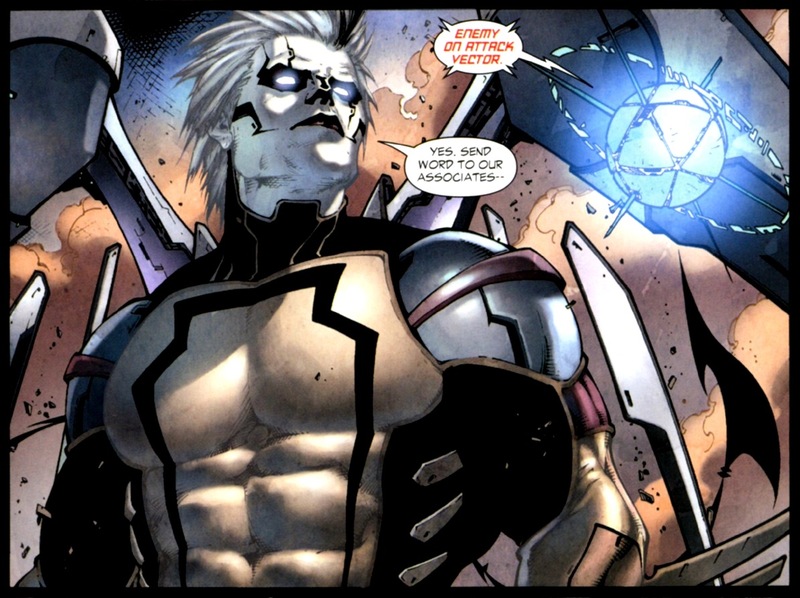 What works so well with Straczynski’s approach to the material is that the writer doesn’t feel beholden in the least to reference the original material. It is more as though the writer is determined to present the story that he wanted to tell. This is good. I was hopeful for something new and that is exactly what Straczynski delivers. After all, Superman’s origin is familiar to mainstream audiences and can be recited by just about anybody who’s stepped foot inside a comic shop. The villain Tyrell feels like a throwback to the 90s. Add to this the beautiful artwork by Shane Davis. There is nothing that feels rushed in any panel in this book. Clark’s initial steps into Metropolis, the first scene of Clark flying, which culminates in him hovering over his adopted planet, and the battle between Superman and alien villain Tyrell. Davis’s work is astonishing from cover to cover. The artwork is enhanced by Sandra Hope’s painstaking inks and gorgeous colors by Barbara Ciardo. This artwork by Davis, Hope and Ciardo feels like a labor of love. There are a few missteps in the book, most significantly with the villain Tyrell. The character’s design feels dated, especially for this book. Tyrell is looks the kind of villain that would appear in a late 80s or early 90s X-Men book. The casual tone of Tyrell’s dialogue doesn’t fit the villain either; while his intentions were as evil and sadistic as a Superman villain ought to be, the character did not express himself in a way that came off as particularly menacing. Additionally, the story is missing a second act and darts immediately from first to third. Clark’s story is presented, he puts on the Superman costume and then he goes up against the villain for a single confrontation. There is something to be said for featuring at least two showdowns with the main villain. By introducing and thwarting the bad guy over two separate acts, the characters are allowed to ruminate over their fate and the reader becomes more invested in how the heck the hero is going to fix what seems unfixable. These qualms aside, “Superman: Earth One” makes for an entertaining read. Straczynski, who has a strong sense of pacing, brings a cinematic quality to the story and it is surprisingly refreshing.